I was excited when the editor emailed me about my submission. I’m even more excited that the pattern is now available! It was definitely an interesting and rewarding, if sometimes stressful, experience. 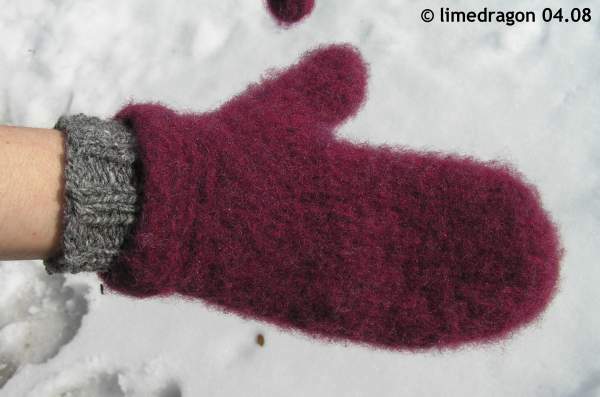 It was challenging because I wasn’t quite happy with how the red Scottish Tweed Aran fulled; I think it may have been the dye, as I noticed it was shinier than the gray yarn. 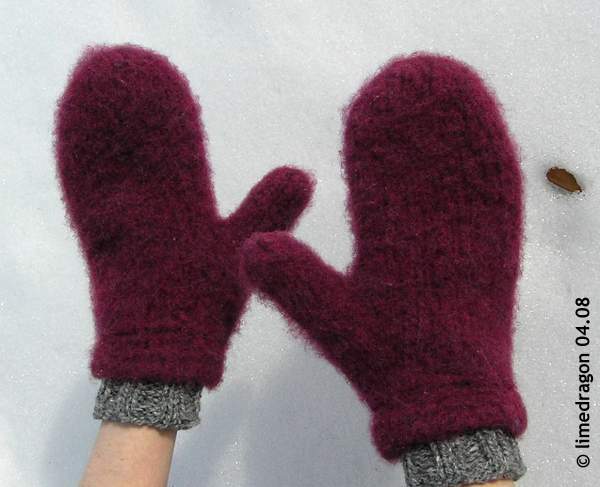 It was scary fulling my first test mitten, but happily, my math worked out and the result was close to what I wanted. The funniest part (to me) was seeing how much yarn they sent me. Two large boxes! Full of yarn to play with! They’re really cute! Congratulations on getting published! OMG, I did see that pattern but I didn’t notice that it was yours! Congrats! Did you use all the yarn they sent you or do you have any leftover? Did you have to give it back or will you be able to use it for something else? I’m definitely going to find one of those here in the UK to buy! Congratulations!! Oh boy! I’ve been thinking about buying that magazine…I will for sure, now. I did!! 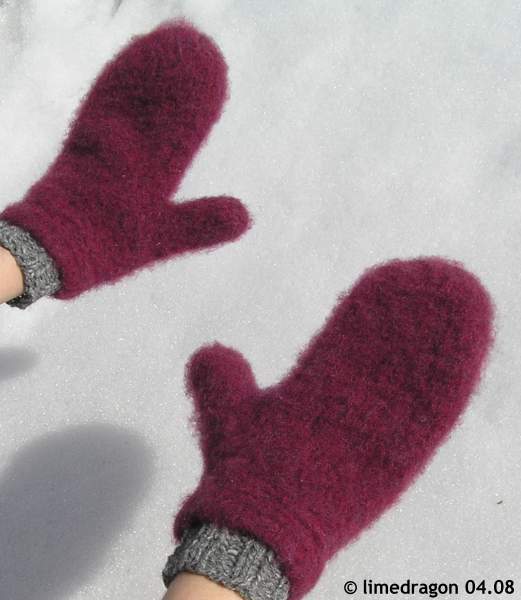 And of course it takes a Minnesotan to come up with mittens that winterproof!! !